What a scorcher of a rally, here on the Costa del Solway. The sun shone, the breeze blew and then exactly half an hour after the last car finished, the rain fell. In fact the only disappointment was that there were no shenanigans on the Friday night. Everyone was on their best behaviour, or maybe folk just wanted to watch the Olympics opening ceremony on the telly. Me? I’d rather have had the Dundrennan cardboard sled downhill grass racing anytime. 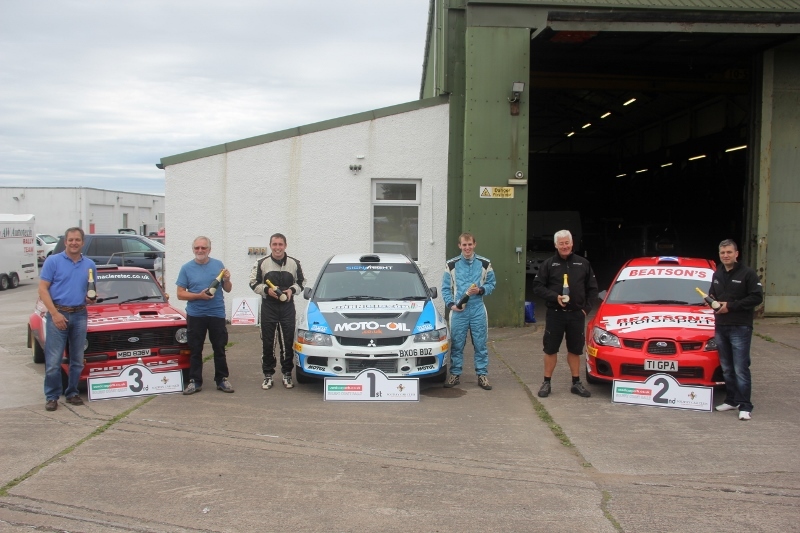 Anyway, Mark McCulloch did it again, scoring his fourth straight win on the ‘usedcarparts.co.uk Solway Coast Rally’, but this one was less dramatic than previous victories as his rivals fell by the wayside. At the halfway point of the 8 stage event, McCulloch had a 14 second lead over David Hardie with Greg McKnight holding a threatening third place 4 seconds behind Hardie. Ian Paterson was almost half a minute behind the top three - until the start of the fifth stage. McKnight’s Mitsubishi broke a driveshaft on the startline and that was him out, then Paterson hit a pothole and broke the Subaru’s front suspension leaving Hardie in contention until his Subaru’s manifold started to blow. Then the diff failed stranding the luckless Subaru driver almost within sight of the rally finish. 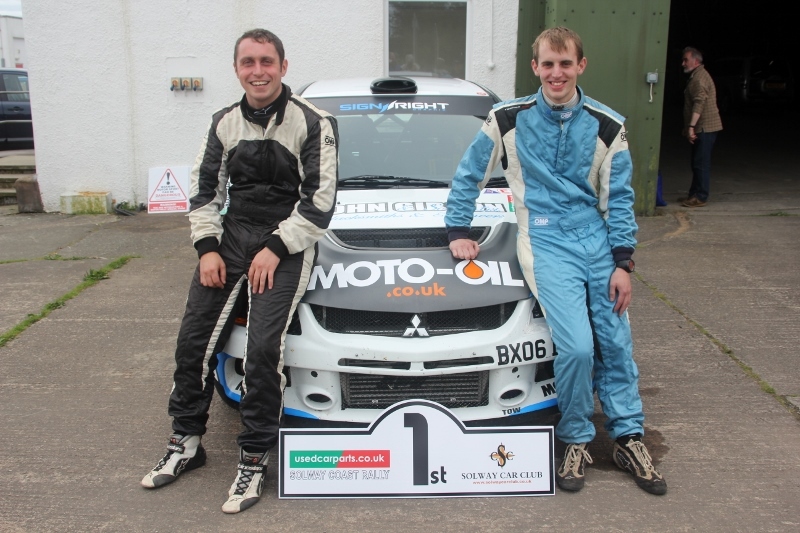 All of a sudden McCulloch was out on his own and John Marshall was promoted to the runner-up spot with Gary Adam finishing third and thinking “how lucky was that?” After a big spin into a field on the first stage, Adam thought he was well out of the running. Lee Hastings had earlier broken a driveshaft and Jim Sharp had retired his Subaru when it became a flat-three, instead of a flat-four. Gareth White was top 1600 in the Citroen and Keith Riddick top 1400 in his MG.